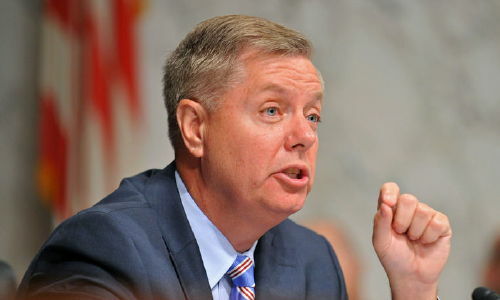 Unmarried South Carolina Lindsey Graham, despite non-existent polling numbers, remains confident in his ability to secure the GOP Presidential nomination and capture the White House. On ABC’s “The View” he explained to Whoopi Goldberg that “I’ve got the other gentlemen and lady right where I want them. I’ve always been known to come from behind.” He would be the first bachelor President since Grover Cleveland. Bachelor President would make a good reality TV show.